In order to get a divorce in Florida, you must have grounds for divorce and meet the residency requirements. Florida is a no-fault state, meaning that one party need not prove the other party is responsible for the dissolution of the marriage. Instead, Florida allows parties to divorce where the marriage is irrevocably broken, or where one party has been declared mentally incapacitated. Additionally, one of the parties must be a Florida resident to file for divorce in the state. The resident must live in the state for at least six months prior to filing. Florida couples may pursue either a regular or simplified dissolution process. While a regular dissolution is more like a traditional trial, parties may pursue a simplified dissolution so the assistance of an attorney is not necessary. In a simplified dissolution, the parties are not required to automatically disclose financial information and the trial is simplified. Witnesses are not examined or cross-examined. However, the only parties that may pursue a simplified dissolution are those that do not have minor or dependent children and the wife cannot be pregnant. Additionally, the parties must agree on the division of property, and no party may seek alimony. Both parties must consent to the simplified dissolution process and agree that the marriage is irrevocably broken. When determining property division among the divorced parties, Florida law provides for equitable distribution. Property may not be divided equally, but instead is divided fairly or equitably based on a number of factors. The court will consider the duration of the marriage, how much each spouse contributed to the marriage and the financial situation of each party. The parties may submit a property division plan to the court, which will be approved if the judge finds it reasonable. Absent a plan, the court will determine property division during trial. 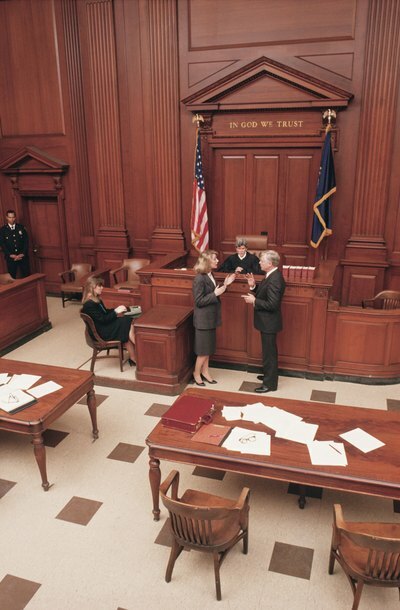 In some cases, the court may award spousal support, known in Florida as alimony. The court may award alimony to either party in the form of bridge-the-gap, rehabilitative, durational or permanent alimony. Bridge-the-gap alimony is designed to help a party transition to single life, while rehabilitative alimony is used to help individuals acquire training, skills or credentials. Durational alimony lasts for a set period of time following the divorce, while permanent alimony has no expiration date. In determining the type and amount of alimony, the court will consider factors surrounding the living standards during the marriage and current income of the parties. When it comes to determining custody and child support, the court is primarily concerned with what is in the best interests of the child. Florida law assumes that it is best for the child to have continued contact with both parents and will order shared parental responsibility except in rare cases. In determining child support, Florida uses the income shares model. This model is designed to provide the child with the same living standard that existed before the parents divorced. The court will look at the income of both parents, the number of children and the amount of overnight contact with each parent. An understanding of the factors involved in a determination of the type and amount of alimony that can be awarded creates more realistic expectations heading into court. In Florida, lifetime alimony, also known as permanent alimony, can be deemed appropriate in certain situations. While the parties can reach a mutual agreement on the issue of alimony, the court will look to specific factors, including financial need and ability to pay, in ordering lifetime alimony payment amounts. Further, modification or termination may be requested if there is a substantial change of circumstances.